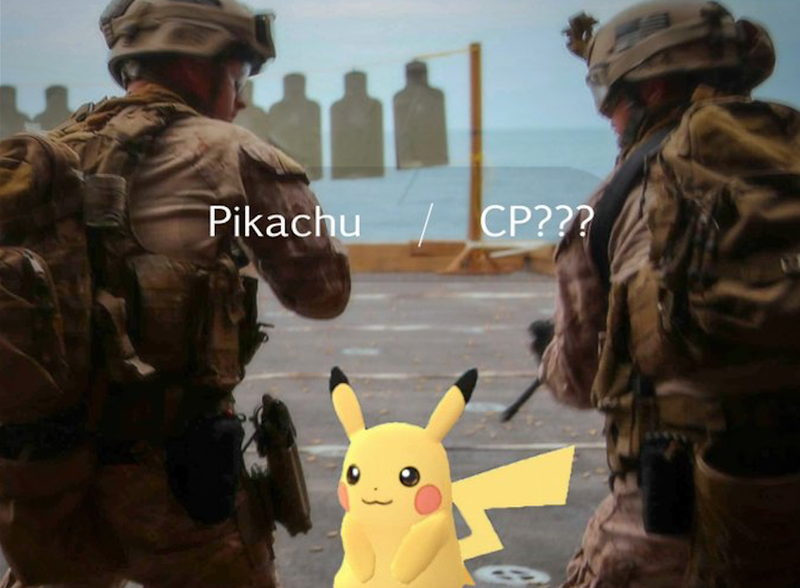 American military bases are starting to issue heads-up about, you guessed it, Pokémon Go. On Facebook, for example, Joint Base Pearl Harbor–Hickam posted dos and don’t for military players, spelling out things they need to keep in mind. It’s not a stern warning, but rather, some sensible tips and a friendly reminder. 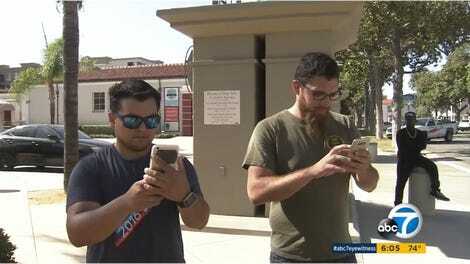 “With the new Pokémon Go game app going viral, including many active duty military and civilian employees actively playing the game, it is important to understand the personnel risks and security issues this game could pose,” the notice stated. It added that AR apps like Pokémon Go are “not authorized” for use in restricted areas. - When driving, please remain vigilant and watch for people possibly playing the game on their cell phones and not paying attention to where they are walking. This is especially important on local roads, parking lots, and near buildings. - Do not play the game on board the installation (other than in housing or other unrestricted areas) if it requires the player to use their cell phone camera; camera use is not approved in certain areas without written permission. - If Security finds you using your cell phone cameras on board an installation (other than in housing or approved areas), including to play Pokémon Go, you could face administrative or disciplinary actions. - Do not play the game at or near installation entry control points as this poses a security issue. - If you play the game off installation, be especially careful of Pokémon Go “lures.” Travel to “lure” locations with 2 or more people. Check your surroundings. Avoid abandoned or unlit areas. Joint Base Pearl Harbor–Hickam isn’t alone in its concern over Pokémon Go. AirForceTimes reports that Joint Base Lewis-McChord also issued some guidelines, telling troops to be safe while playing, and Seymor Johnson Air Force Base asked its troops not to catch Pokémon while still in uniform. It also told service members to stay alert while playing and not enter restricted areas to nab Pocket Monsters. The game, however, has also raised concerns internationally. According to Haaretz, the Israel Defense Forces have issued a notice on the game to troops and even banned it on military bases. Meanwhile, Reuters reports that the are fears in China that the game can be used to locate secret military bases.